• Oil - 3-4 teaspoons. • Vermicelli - semiya - 1 cup. • Onions (chopped) - 1/2 cup. • Ginger garlic paste - 1/2 tea spoon. • Tomatoes (chopped) - 1/2 cup. • Coriander powder - 1/4 tea spoon. • Green chillies (chopped) - 1/2 tablespoon. • Eggs - 2 number. Heat oil in a pan, add semiya and roast it for 3 minutes. To it add onions, salt, ginger garlic paste, turmeric, tomatoes,coriander powder, green chilies, curry leaves and saute it until tomato is soft. Beat two eggs in a bowl, add sauted semiya mixture, red chili powder and mix nicely. Heat oil in another pan, pour the above omelet mixture and cook it with closed lid on a slow flame for about 2-3 minutes. Remove the lid and turn another side cook it with closed lid on it. Once again it is cooked then turn to another side and cut into pieces. Now the Semiya Omelet transfer into a serving plate and serve it. This is an unusually delicious breakfast dish that is enjoyed on a regular basis. This is also traditionally served on the Eid. Semiya Omelet is a very quick to prepare dish and healthy and nutritious to eat. You can make a variety of Omelet recipes. This is one excellent variation of Omelet dish made with eggs, ... Read More..
Semiya Omelet is a very quick to prepare dish and healthy and nutritious to eat. You can make a variety of Omelet recipes. This is one excellent variation of Omelet dish made with eggs, semiya (also known as vermicelli), onions, green chillies and spices. You could also add variety of exotic veggies to make a nutritious and wholesome omelet. Often we make upma with Vermicelli or semiya which most of the kids hate eating. This will make an excellent variety which will surely attract the kids to eat and it is always best to make variety of fresh foods that kids love to eat by just giving a slight twist in taste and flavor. Heat 1 tsp oil in a pan, add semiya and roast until it get slightly golden in color. In the same pan, add chopped onions, little salt, ginger garlic paste, turmeric powder, tomatoes, coriander powder, green chillies, curry leaves and sauté and cook until tomatoes are soft. Beat two eggs in a bowl, add above sautéed mixture, red chilli powder and mix nicely. Heat 2 tsp oil in the pan and pour the mixture and spread evenly. Cover the pan with a lid and cook over slow flame for 2-3 minutes. Remove the lid and turn another side and cook with lid on. Once the omelet is cooked on both sides, cut into pieces. Transfer into a serving plate and serve hot. When it comes to breakfast recipes, eggs are extensively used for making yummy delicious fluffy Omelets, or you could also easily poach, scramble or hard boil the eggs and use them in making various variations of egg dishes. Boiled eggs are widely used for preparing the popular snack namely Egg Puffs which most of us love to eat when its just hot. Another amazing and delectable snack is the Paneer Egg rolls. Soups are excellent appetizer and sometimes eggs are added into the soup to make it more delicious and nutritious. Tomato Egg drop soup is one such fantastic soup that you must try. Nutritionally eggs are protein rich and breakfast with eggs would simply give you all the power for keeping you fit for the whole day. Eggs are obviously cheaper and faster to cook. They are naturally produced food containing many essential nutrients in a balanced diet for adults and children. It is an excellent source of protein, rich in vitamins A, D, E, B12, minerals and calcium. Egg delights are liked most during breakfast. The most common and fast breakfast for any common man is the bread with eggs or bread with omelette. Eggs can also be taken raw to add more proteins in one’s diet. They are the ideal food, super fast cooked budget meal to place at the table while you have sudden guest at home. Breakfast is the most important meal of the day. But there are some people who skip eating breakfast mainly as they may not like the dish prepared or on dieting. Eating breakfast daily morning is a great way to get your metabolism working well for the day. It also keeps you from binging junk foods. Eating a healthy meal in the morning also will keep your spirits up throughout the day. It will provide you with plenty of energy to help you get through the regular tasks of your day. A healthy, appetizing and delicious in the morning will also help to regulate your blood sugar levels through lunch time, which plays a vital role in your mood. Making simple and delicious dishes with ingredients readily available in your kitchen will surely not get your kids and family bored of the routine food. 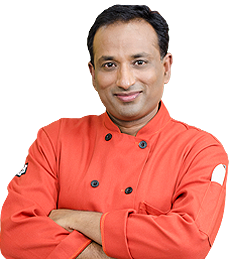 There is a wide collection of recipes that one can make from semiya or eggs. A little creativity and passion for cooking can make you do wonders in your kitchen in preparing new varieties to suit your family’s taste. Eating healthy, nutritious and simple breakfast makes you truly energetic and keeps your healthy. Apart from these wonderful dishes, there are a plenty of tiffin varieties to suit. Do try preparing different types of fresh dishes. 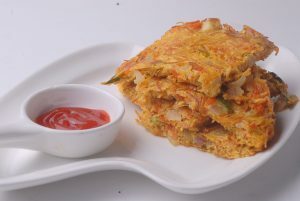 To try more delicious and favorite recipe of yours, do click on: www.vahrehvah.com. Enjoy Cooking and always remember that: “VahrehVah is all about inspiring others to cook”! it's yummy. ..kids love this. ..? this is my childhood favourite food???? except that my mom used to add boiled semiya ????? yummy omelette but pls avoid using if u wan if u wan if u wan dialogue again and again. sometime good cooking but some irritation will avoid watching the video. I too got that irritation so shared. sorry if it hurts.? I never seen curry leaves in omelet? Sister I'm waiting for your instant beaten coffee recipe? mam.. u r excellent.. God bless u..?